"This what you might call Spain on a plate, a sum-up dish of everything we love about Spanish cooking: serrano ham, chorizo, pimentón, tomatoes, garlic and onion. To these basic ingredients I have added green beans and peas; you could also add sliced, cooked new potatoes or chickpeas or the big butter beans called judion. Actually I first tried this in Cádiz and wasn't particularly knocked out by it, but I love eggs with tomato sauce, so I did a bit of research and came up with my own version." ~ Rick Stein. Heat the oil in a frying pan or shallow casserole over medium-low heat and cook the onion and garlic until soft, 5 to 10 minutes. Add the ham and the pimentón picante, fry for 3 minutes, then add the chopped tomatoes and tomato paste. Cover the pan and cook until the tomatoes are reduced and pulpy, about 10 to 15 minutes. Heat the oven to 200°C/gas 6. Grease a large ovenproof dish or shallow casserole and pour in the tomato sauce. Scatter over the peas and green beans. Break the eggs into the sauce. 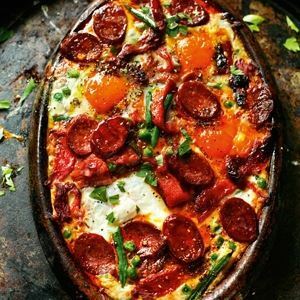 Arrange the chorizo slices around the eggs and the red pepper strips over and around the eggs. Season with salt and pepper. Bake until the egg whites are set and the yolks still soft, about 8 to 10 minutes. 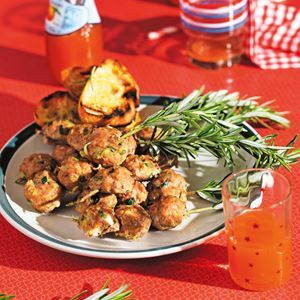 Meanwhile, rub the bread with the garlic, brush with the olive oil and griddle it on a ridged pan or in a frying pan. 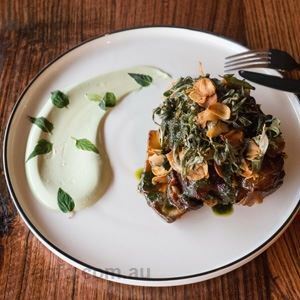 Scatter the chopped parsley over the dish and serve with griddled bread. 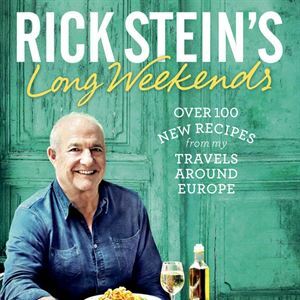 Credits: Extract from Rick Stein's Long Weekends by Rick Stein, photography by James Murphy, published by BBC Books on 17 October 2016, RRP $55. Photo Credits: Extract from Rick Stein's Long Weekends by Rick Stein, photography by James Murphy, published by BBC Books on 17 October 2016, RRP $55.